Becca and Garrett are engaged!! In episode 10 (season 6) we focus on Blake’s recovery and his ability to be a good Bachelor. Should The Bachelor be chosen based on who was the most heartbroken in the previous season or who the girls will go craziest for? We debate. On a lighter note, we joke about one important thing about Becca few of her men know. Can you guess what it is?! 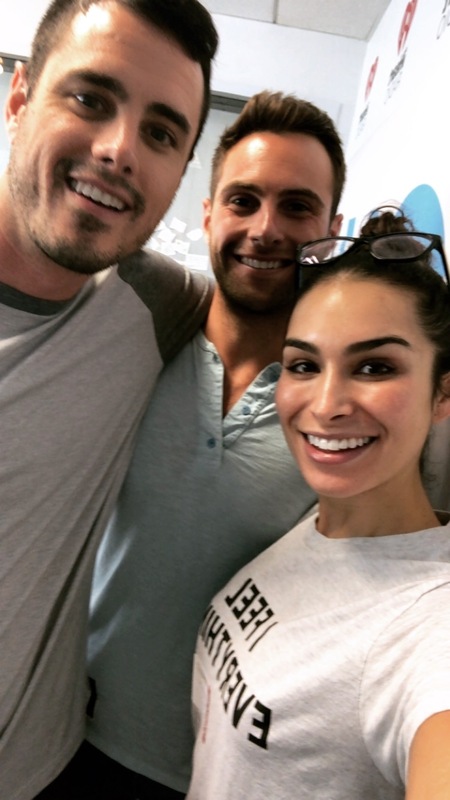 My favorite part of the podcast episode is when we have David on to preview Bachelor in Paradise. Ben gives David (“The former chicken”) for self describing more on Men Tell All. The guy is such a good sport about the teasing. It seems like the show has really taught him not to take himself too seriously. If you want to share your thoughts or have questions you’d like to be answered on the podcast, email benandashley@iheartmedia.com or rate us on iTunes HERE. The Almost Famous podcast is new Monday nights. Listen and Subscribe on the iHeart Radio App or on iTunes.